Worship is our response to God - something we do in light of all that He is and all that He's done for us through the Gospel. It's the way we acknowledge Him as King and Lord of our lives. Worship is so much more than music, but singing gives voice to our praise and helps shape and form our faith. The music at Stevens Street is focused on making much of Jesus Christ, and helping us sing together. Our people are diverse, so we sing music that is diverse: newer songs from today's artists, as well as older songs that have stood the test of time, all led in modern musical arrangements by our praise band and worship choir. Our worship choir leads during our Sunday morning services and worship events throughout the year. Interested in joining? Drop by a rehearsal on Wednesday nights at 6pm, or contact our worship pastor, Andy Hammond. Do you play an instrument? Our band and orchestra lead worship alongside our worship choir for our Sunday services, and we're always looking for more instrumentalists to join our team. Brass, woodwinds, strings, and rhythm section instruments are welcome. Just contact April Langford, our instrumental music director, for more information. We're thankful for our team members who make sure the message of the Gospel is heard (and seen) clearly! 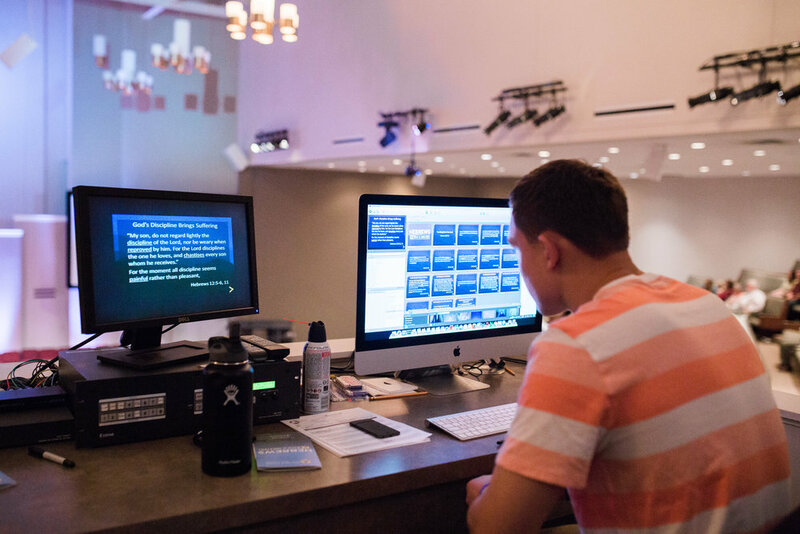 From Sunday morning production elements (lights, sound, cameras, projection) to graphic design, social media, and video packages, we want to point others to the life-changing power of the Gospel through Jesus Christ. Interested in joining one of these teams? Contact our worship pastor, Andy. No experience is required- we will teach you everything you need to know. Stevens Street is committed to helping develop the next generation of worship leaders. Our children's choirs and middle school choir (MSC) meet on Sunday evenings during the Fall and Spring at 5pm to help teach kids to be lifelong worshippers who love to help others worship Jesus. From age 4 through the 8th grade, we have a place just for your child. Contact our worship pastor, Andy Hammond, for more information. Our middle school choir recently recorded the music to this video; check it out!